This option lets you import/export tours to the listed online sources. If you have an account and would like to download a route you previously saved on one of these services, select the ‘Online‘ option within the Tours tab. The panel and all related options are only enabled if there is an active internet connection. 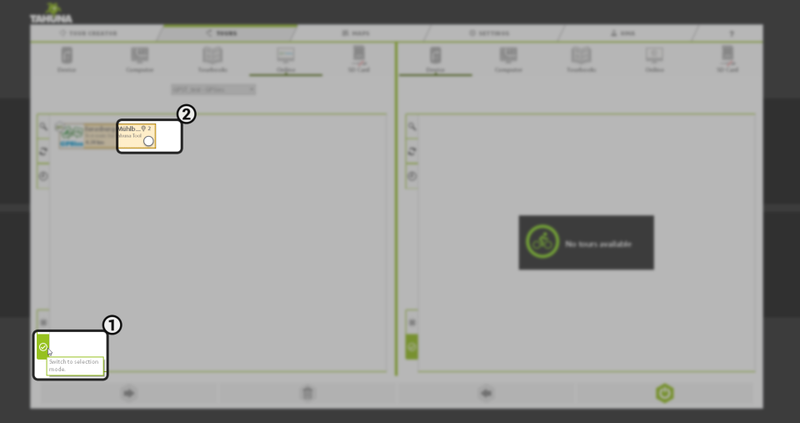 If you are not logged in to the chosen account, selecting it will present you with a login screen within the pane. You can use this form to log in to the selected service (see the picture above). Let’s say you have a GPSies account and you have created a tour for the upcoming weekend. 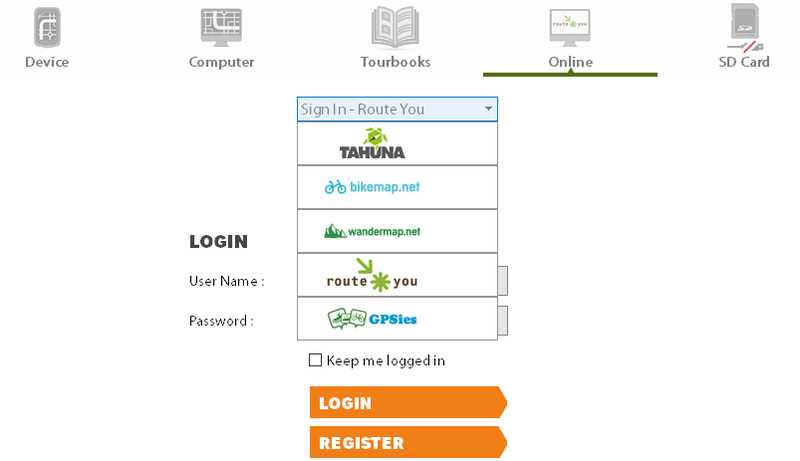 You would like to copy the tour from your account to your Teasi device so you can navigate with it. 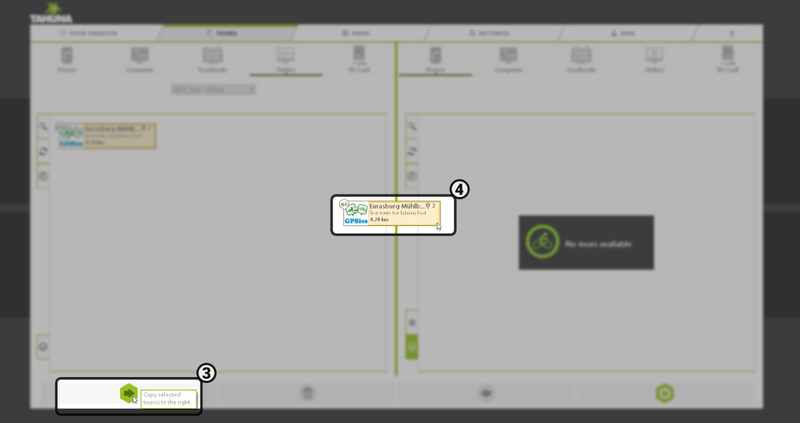 Open the Tours tab () within the tool and set the source on the left pane. In this case you will have to select the ‘Online’ option () and select GPSies from the drop-down menu (). Once it is selected, you will have to log in – type in your user name and password, then click ‘LOGIN’. 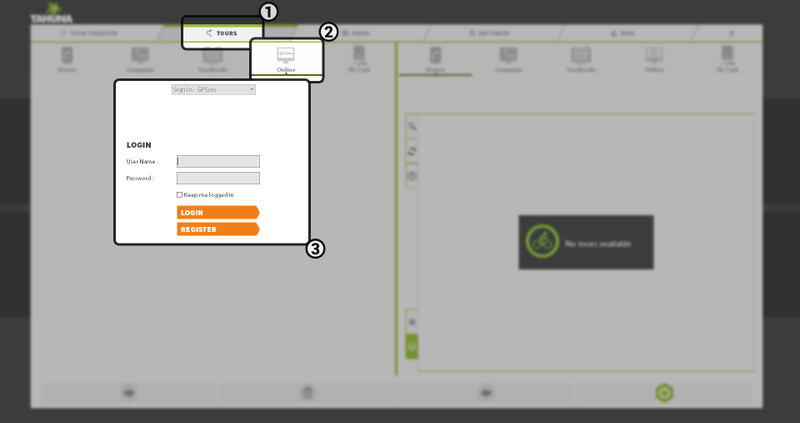 You have the option to store your credentials so the Tool logs in automatically. 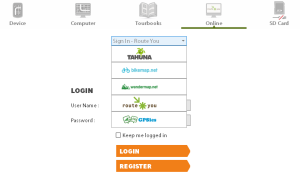 If the login is successful, you should see the tour within the pane (). 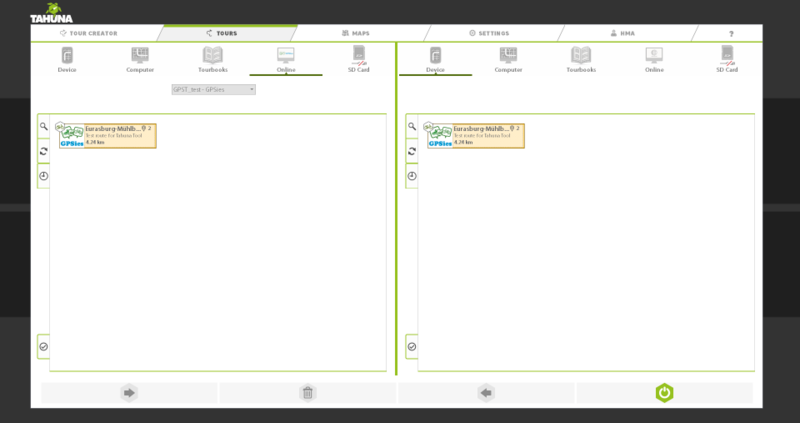 Now select the source (your Teasi device) by clicking the ‘Device’ button over the right pane (). The only remaining thing to do is copying the tour onto the Teasi device. 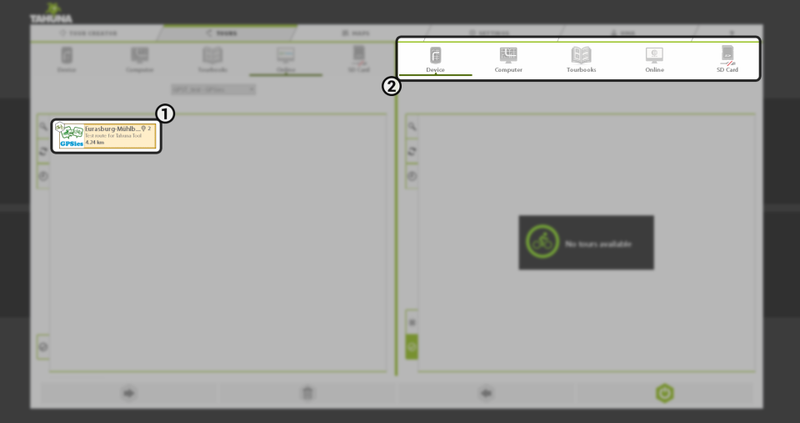 You can either do this by entering selection mode (to do this, you can use the button with a tick () () or click and hold the tour’s tile), selecting the tour () and then using the arrow at the bottom of the screen () to move it, or you can click, hold and drag the tour’s tile () to the right pane. Once this is done, you can disconnect the Teasi and open the tour on the device itself. Uploading a tour to an online account works the same way – you just have to select the appropriate destination within the apropriate pane.